As an online marketplace owner, one of your main goals should be building trust between users to ensure that they transact safely and honestly with each other. After all, without trust, no transactions and with no transactions, no business! Scammers are one of the biggest threats to maintaining trust. We know that content moderation is key to detect and prevent fraud, however, to fully understand the role that content moderation plays in ensuring that your platform remains trustworthy, we need to better understand the concept of trust. Time and again intelligent people fall for online scams. What is it that makes us believe in too-good-to be true offers? How can online marketplaces reinforce trust, or rebuild it, if it’s been broken? We spoke to behavioral psychologist and business consultant, Sara Ingvarsson from Waldine Consulting, to find out more. For instance, if you are shopping online without worrying about getting scammed, then that is not scientifically speaking because you feel “trust”. It is because your previous experiences with shopping online hasn’t included negative encounters with scammers. In short, when you have bought things online in the past, you have experienced the expected outcome from that action ie, receiving the item or service you’ve paid for. For instance, if our general experience dealing with people has taught us that people who use slang and crude words are not trustworthy, then we are also less likely to trust a person on an online marketplace if their ad is riddled with spelling mistakes and swear words. So how do online marketplace owners build interpersonal trust between strangers? It is a complex exercise, but one piece of the puzzle is to replace these visible social cues with something else our brains can relate too: such as portrait pictures and high-quality text (what defines quality will depend completely on the expectations of the users). While emulation social queues is a step in the right direction, it might not be enough. According to research, just 19% of millennials (those aged 18-33) believe most people can be trusted, compared with 31% of Generation X’ers (34-50). These numbers could indicate that millennials, who have grown up with the Internet and as such have the higher familiarity with it, can pull from a broader pool of direct similarities and that those experiences have overwhelmingly been bad (ie. They have had more encounters online to compare new interactions with, whereas X’ers might still to an extend compare to offline encounters where scams are less common.). To help counter the caution, reviews and recommendations are a powerful tool. If someone else has tested something and vouches for a positive experience, we are more inclined to believe that we will also have a good experience. But why do we trust the word of strangers, when we’ve just concluded that skepticism vs. strangers online is very high? But this trust also heavily relies on previous experiences with reviews online If our experience is that most reviews are fake, bought or inaccurate for other reasons, then we will start losing faith in them. This is why sites relying on reviews need to be adamant in moderating them, ensuring that they are genuine and impartial. Now that we have established what trust is and how it is built, let’s have a look at one of the experiences that will most quickly deteriorate a user’s trust in an online marketplace: Getting scammed. But first of all, let us look at why we fall for “too good to be true” scams? “Human beings aren’t systematic when they gather information. As a species we make a lot of decisions based on hunches and feelings. This part of our flight and fight instinct, when you are facing a saber tiger, you do not have the time to conduct a full-scale risk assessment. And we apply the same to positive interactions in some cases simply to save time. Without this ability humans would never get anything done. But the drawback is that sometimes we make bad decisions when we don’t take time to gather facts and data. Our primal instinct to take quick decisions can be triggered by a number of factors – urgency, excitement, greed, uncertainty – and these are exactly the kind of things scammers play on.” Says Sara. “The differences between ‘uncertain’ and ‘certain’, ‘positive’ and ‘negative’ and ‘future’ and ‘immediate’ are easily blurred. For example; say we see and ad that says “iPhone 8 for sale. Get it now. Priced to sell quick, first come first serve”: this plays to ‘certain’ (The ad states you will get it now) ‘positive’ (The ad promises that you will get the iPhone) and ‘immediate’ (first come first serve and get it now). When we only see the benefits in a given situation, our rational brain is shutting down; giving in to the emotional side. Once a user has fallen victim to a scam, it can have dire consequences for future conversion. Simply put, bad experiences break trust. From a behavioral standpoint, this happens when there’s inconsistency between what people say they’re going to do and what they actually do. And someone being scammed in an online marketplace is a classic example of that trust breakdown. Although a malicious individual may be solely responsible for a particular scam, often it’s hard for people to extrapolate their experience from the marketplace associated with the bad experience. This is how a negative reputation can begin. Even a single incident can have an accumulative effect. When something bad happens to us, we begin to notice other negative traits that corroborate our stance: for example, if a person has yelled at you in the past, you’re more likely to feel they’re yelling whenever their tone of voice changes; something you wouldn’t even notice in other people. “When people have a negative impression of a person, or a brand for that matter, it’s often the result of something known as ‘selective perception’ – when in this frame of mind you will often only notice the things that support the perception you have already formed, explains Sara. If a user has been scammed on a marketplace, they are as such much more likely to spot scams or even see low quality content and assume that it is fraudulent. “It’s a tough stigma to overcome and there’s really no other way to tackle it than to do better next time. And the time after that. One bad experience needs about 10 good ones to balance it out.” says Sara. Countering a negative perception, can be tackled in many ways. It really depends on the nature of the trust breakdown – and the scale of it. One thing that is very important though, is that changes need to be visible. For an online marketplace, this could be through a clear statement about taking a stand against fraud or it could be a full-fledged rebrand. Regardless of how the rebuilding of trust is approached, it has to be crystal clear from a customer point of view that all actions and communication are genuine. Otherwise the relationship will be further damaged. User trust is one of those goals that everyone is striving for, but few companies actually fully achieve. And now you might understand why. Trust is such a complex concept because it is hard to define and often miss-denominated. Even when you understand that the trust we are striving for is actually, perhaps better termed “user confidence” (that users believe that they will experience the expected outcome, when they utilize your site), it is still hard to build and even harder to maintain. In short, if you want people to fearlessly transact with each other on your site, then make sure that they always have positive experiences when doing so. Some may call that building trust, some may call it increasing user confidence, but in the end you can just call that running a successful marketplace! Sara Ingvarsson is a licensed psychologist and a certified business consultant in the area of Organizational Behavior management. She runs her own consulting company, Waldine Consulting and primarily works with behavior change projects within organizations. 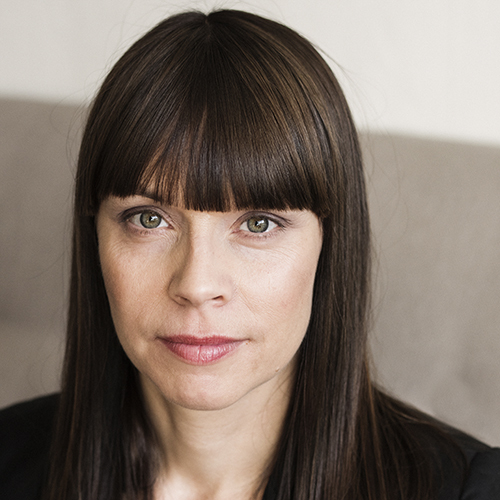 Sara is also the author of “Lägg ner ledarskapet”, a book about how to become a better manager by focusing less on leading and more on collaboration. Where’s your marketplace heading? The data points you should track to stay on the right path.